We are excited to announce the debut of a section dedicated to independent publishing at Art Los Angeles Contemporary. For the fair’s 2016 edition, New York-based curator Miriam Katzeff brings together a select roster of artists, bookstores, and independent publishers, offering direct access to new and recently reissued artist books, editions, records, and other printed projects. Independent Publishers include Badlands Unlimited, Hassla, Inventory Press, Primary Information, and Printed Matter, Inc., New York; DoPe Press, and Golden Spike, Los Angeles; and Rainoff, New York/Sydney. All participants are listed in Exhibitors. 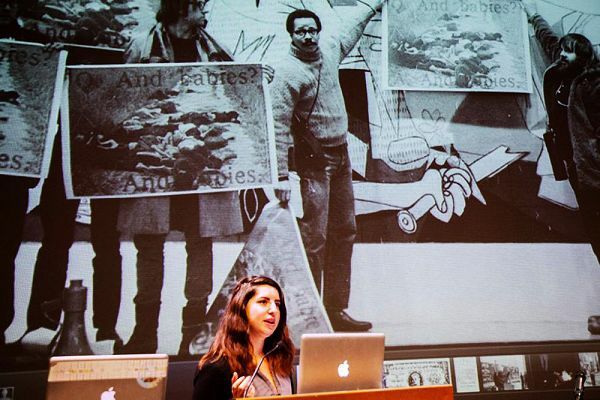 Katzeff co-founded Primary Information, the Brooklyn-based nonprofit devoted to the preservation and support of critical texts and projects from the 1960s to the present, in 2006 with artist James Hoff. The organization emphasizes the conceptual practice of using publications as an exhibition space. She previously worked as director of Team Gallery, New York, and has organized projects and events at MoMA PS1, White Columns, and Swiss Institute, New York; Perez Art Museum Miami; and ICA Philadelphia.